Sign up for Membership Here. Junior Memberships are for members under the age of 30 and do not have access to class registration. Junior Membership - $30.00 (USD) Subscription period: 1 year, on: January 1st No automatically recurring payments For unmarried members under the age of 30. Once logged in, you can renew your membership here. 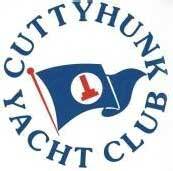 If you have questions about membership, please contact us at commodore@cuttyhunkyachtclub.org for more information.